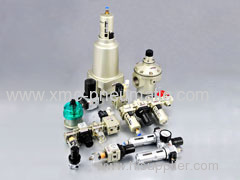 company profile of XMC Pneumatic Co.,Ltd. 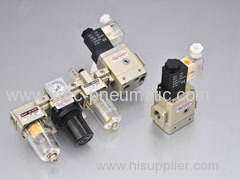 Founded in 1987, Ningbo Huayi Pneumatic Engineering Co., Ltd (XMC) is one of the leading manufacturers of pneumatic components in China. 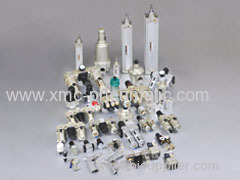 In the past over 20 years, XMC keeps providing high quality, reliable products, and technical support for satisfy customers' requirements in ever changing market conditions throughout the world. 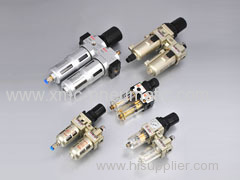 In the year 2002,XMC passed the ISO9001:2000,UKAS certification.in order to enter the European market,XMC passed the RoHS certification in the year 2006.Ouer main products in FRLs,Solenoid Valves,Cylinders and Accessories. 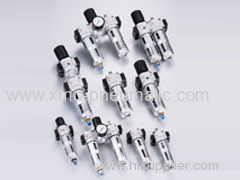 In the year 2006,XMC invested 30 millions RMB to build the modernized factory,and bought a lot modern machines to ensurethe high quality products. And the foundation of"XMC Technology Center"brought a thorough new step for our Designing, Researching, Production, etc. At present, XMC has more than 10 patents, the logo of XMC is registered in worldwide. In the year 2007,XMC brand was awarded "NINGBO FAMOUS PRODUCTS"by the government Looking ahead, XMC will insist on the enterprise spirit"Honesty, Diligence,Learning", do our best to shake hands with the friends all over the world. W[36.00]armly welcome new and old friends to visit XMC. Our company is located at the famous town in the south of the Changjiang River and national scenic spot-Xikou Town , Fenghua Cith , Zhejiang Province . Our location is easily accessible . Welcome new and old customers to our company .